Yeah, yeah, “eat more, weigh less,” we’ve all heard it. But this isn’t just a women’s magazine cover line. As counterintuitive as it sounds, eating too little and not often enough is one of the most frequent mistakes people make when trying to lose weight. So where do we all go so wrong? Smith, also the author of three weight loss books, including his most recent The 4-Day Diet, talked with The Root about the seven most common mistakes people make and offers strategies to avoid them. Not eating enough food often enough. If you know anything about weight loss, you’ve probably been told that it’s best to eat small, healthy meals and snacks throughout the day. However, many people don’t believe it. They skip breakfast and sometimes even lunch then load up when they’re really hungry, generally at dinner. Calories are still calories, right? To keep metabolism steady and lose weight, eat small, healthy meals and snacks throughout the day. Choose low-fat protein, high fiber and lots and lots of vegetables. When you’re ready, really ready, says Smith, make eating right and exercise your No. 1 priority. 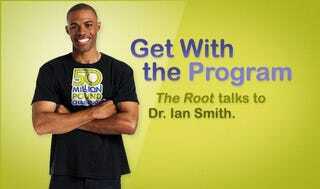 Smith says that the average American on a weight loss program loses 3 pounds a week. “That’s a good, healthy number,” he says. “Even if you just lose a pound a week, it adds up to 52 pounds a year. That’s a great result." Incorporating exercise and healthy eating into your lifestyle will give you a better chance of long-term weight loss success. Being too busy to stick to the program. Healthy eating and consistent exercise take time, thought and planning. If you want to lose weight, you’ll have to plan ahead, especially if you’re working crazy hours or traveling. Smith recommends checking weight once a week, the same time, same way. “Do it every Monday morning without your clothes on,” he suggests. “Try and be consistent." Linda Villarosa is a regular contributor to The Root.